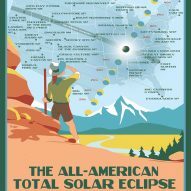 These posters by Tyler Nordgren show the national parks, universities and sightseeing spots in the US where spectators can go to see today's solar eclipse. 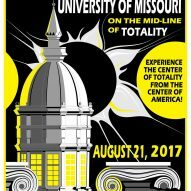 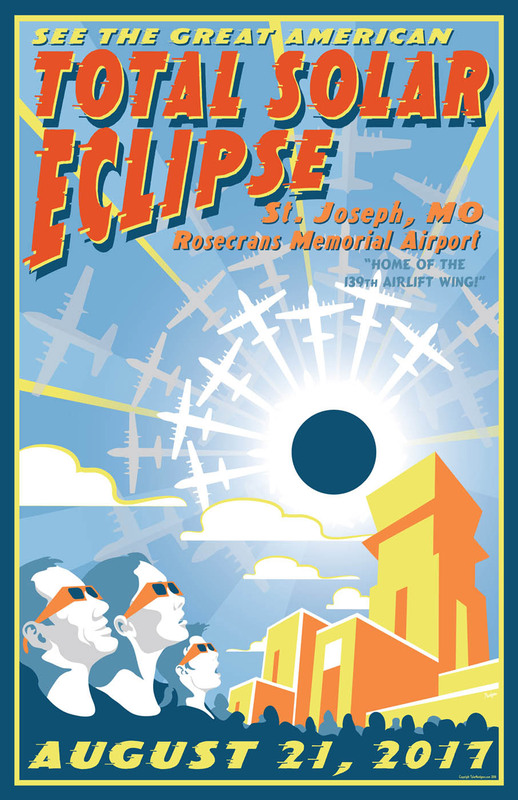 Nordgren, an astronomer and artist, created the 31 posters to commemorate today's solar eclipse which – over the course of 100 minutes – will see 14 states submerged into up to two minutes of darkness in the middle of the day. 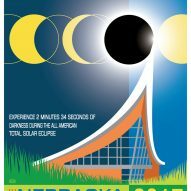 Each of the posters, designed for NASA, show visitors spots where they will be best able to see the event, as well as providing information on how to watch it safely. 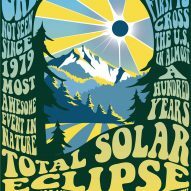 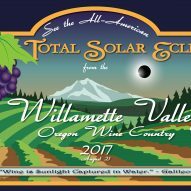 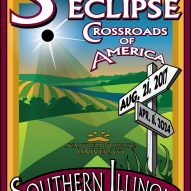 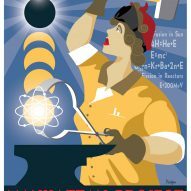 Similar to other posters released by NASA, the Eclipse 2017 collection has a retro style, and Nordgren used bold colours and graphic lettering to advertise each viewpoint. 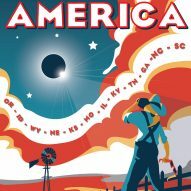 "My newest poster campaign continues this tradition of science education through art by highlighting where Americans can go to see the most spectacular astronomical event anyone can see with their own eyes," said Nordgren. 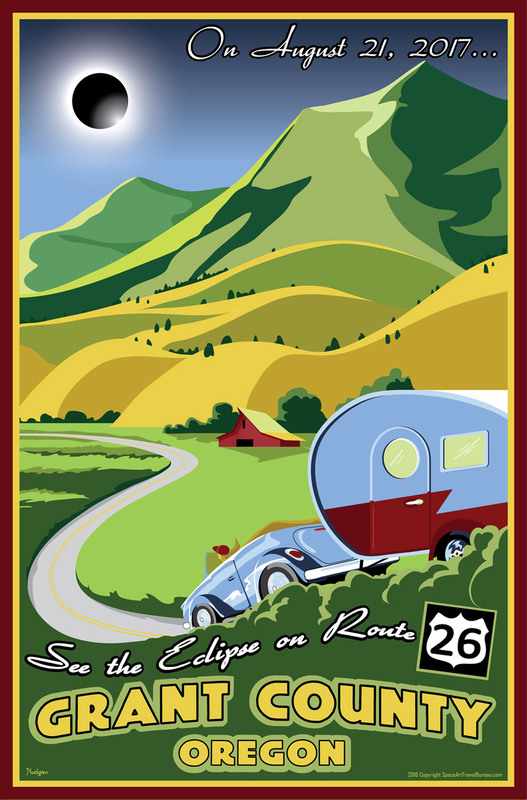 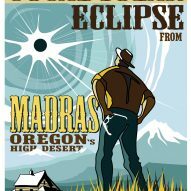 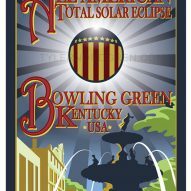 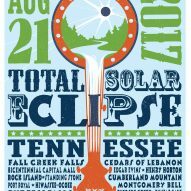 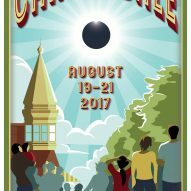 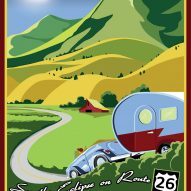 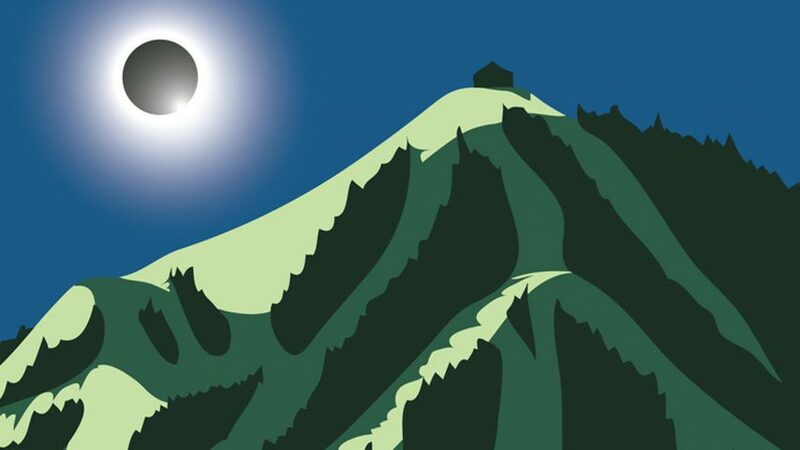 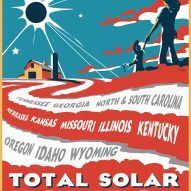 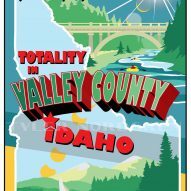 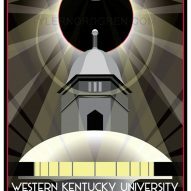 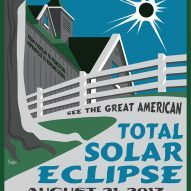 Among the 31 posters are designs that advertise the solar eclipse in general, and others that show specific places for spectators to go, such as the Great Smoky Mountains National Park, San Francisco's Exploratorium and the Sun Valley in Idaho. 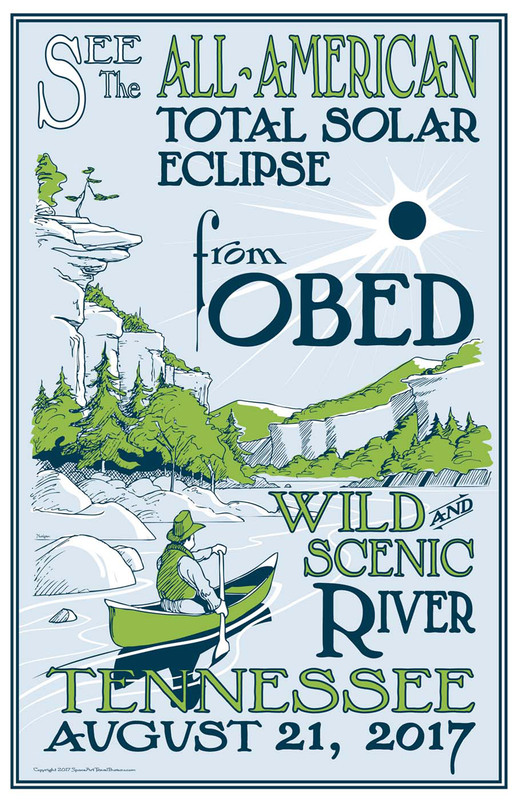 One design depicts a hiker stood on top of the Borah Peak, while another sees a man boating down the Obed Wild and Scenic River in Tennessee. 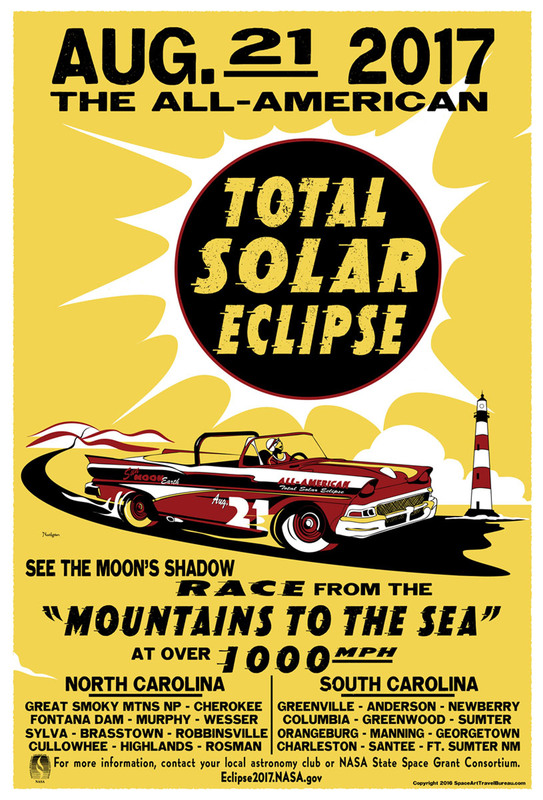 Others encourage spectators to observe safely by using the correct protective eyewear. 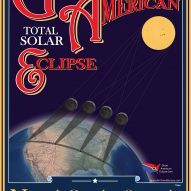 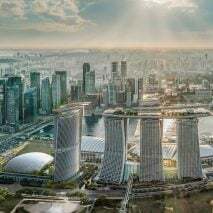 Today marks the first time in 99 years that north America has experienced a solar eclipse, which occurs when the moon passes between the sun and earth, fully or partially blocking the sun. 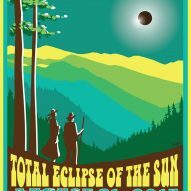 The US is already seeing a rush of visitors to its national parks ahead of the event. 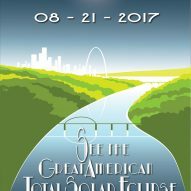 For those who can't make it – or those not in north America – NASA is live streaming the whole event on its website from 12pm EDT. 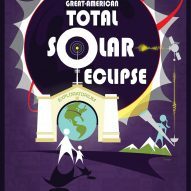 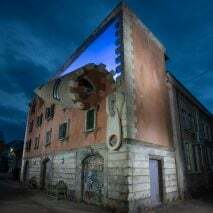 Nordgren is a professor of physics and astronomy at the University of Redlands, and was previously an astronomer at the United States Naval Observatory Flagstaff Station and Lowell Observatory. 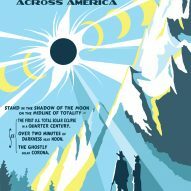 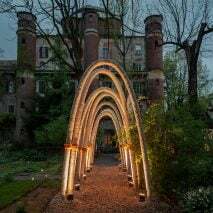 He began making artworks related to his work in astronomy in 2007, basing his style on educational posters commissioned in the 1930s by the federal government for the Works Progress Administration. 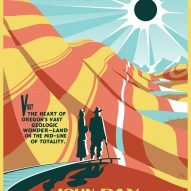 "These posters began, and indeed my life as a professional artist began, as a single illustration I needed for my 2010 book, Stars Above, Earth Below: A Guide to Astronomy in the National Parks," he says in his artist statement. 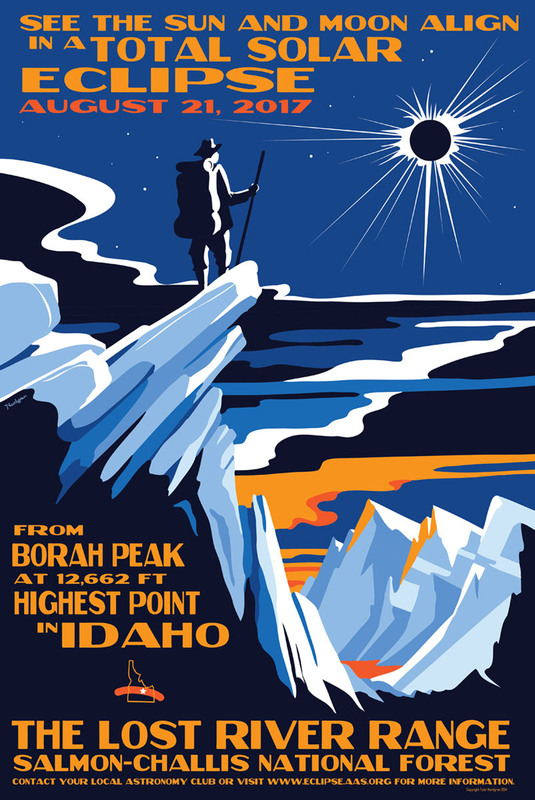 "I had no money to pay an artist, and so I drew a "poster" in the 1930s style so associated with national parks. 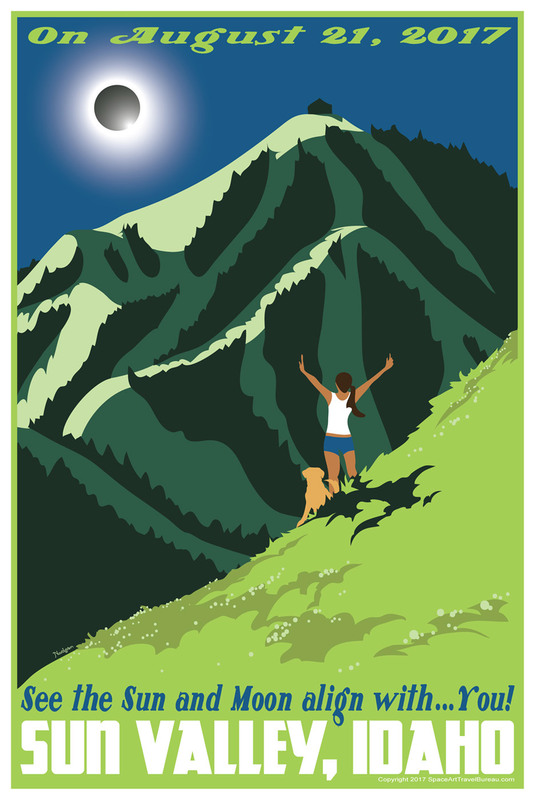 As park rangers across the country bought my book, they began contacting me to ask if I could design a poster for their park. 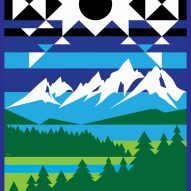 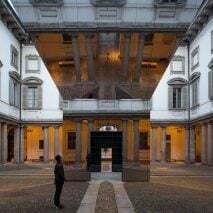 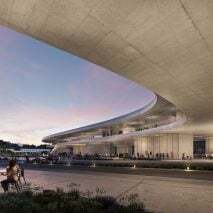 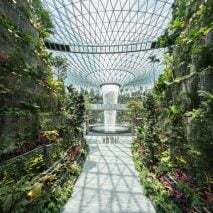 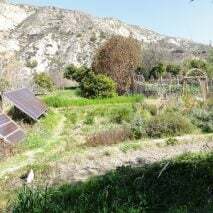 In time, their parks contacted me to ask if they could sell them to the public." 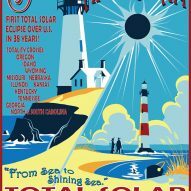 NASA previously created similar posters for newly discovered planets in January 2015, and also produced a set of graphics for potential tourist destinations in our own solar system.